Scientists have spent years working on the production of ultra-high purity hydrogen that can be transported safely and used as an energy source on a global scale. Now, thanks to the revolutionary membrane technology developed by the Commonwealth Scientific and Industrial Research Organisation (CSIRO) that allows the separation of ultra-high purity hydrogen from ammonia, hydrogen fuelled cars are becoming reality and Australia is one step closer to becoming a world renewable energy superpower. Australian scientists have managed to overcome one of the biggest obstacles in the hydrogen fuel industry – safe transport and storage. Namely, CSIRO’s membrane technology allows bulk hydrogen to be transported in the form of ammonia (using existing infrastructure) and then reconverted to hydrogen at the point of use. In other words, the technology drastically simplifies the currently complex and expensive process of hydrogen transportation and storage, allowing for in situ production of hydrogen fuel. To test the breakthrough achievement and prove the effectiveness of CSIRO’s membrane technology, CSIRO’s scientists successfully refuelled two cars in Brisbane yesterday with hydrogen derived from ammonia. 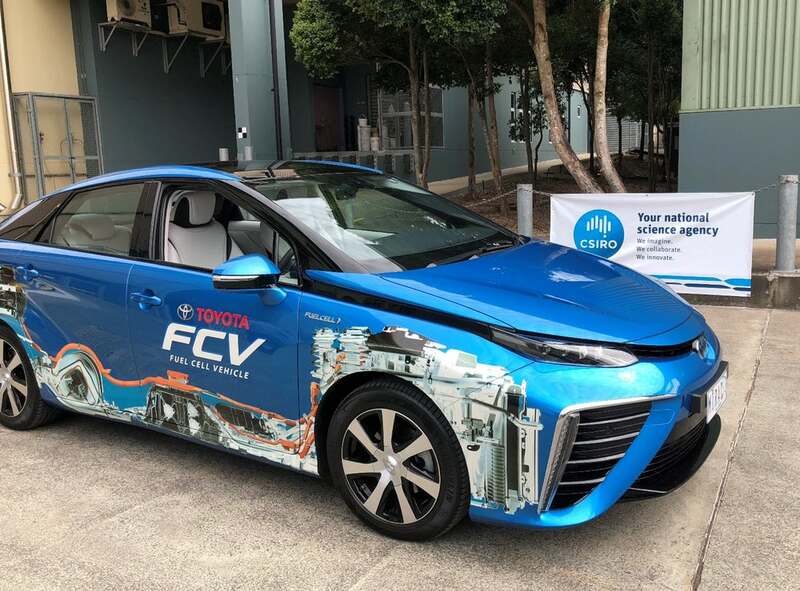 The first to take the wheel in the Toyota Mirai and Hyundai Nexo vehicles that were powered by ultra-high purity hydrogen was CSIRO Chief Executive Larry Marshall. CSIRO has partnered with industrial gas multinational BOC to work on the project that received $1.7 million from Australia’s Science and Industry Endowment Fund (SIEF). The amount was matched by CSIRO. “BOC’s innovative engineering team are proud to be collaborating with CSIRO researchers on this technology breakthrough, as we focus on advancing the hydrogen economy and global transition towards clean hydrogen for mobility and energy,” said BOC Sales and Marketing Director Bruce Currie. According to the official announcement, CSIRO now plans to increase the technology in scale and conduct other larger-scale demonstrations both in Australia and abroad. It is safe to say that Australia is on its way to become home to a new hydrogen production and export industry and reap a multitude of benefits.